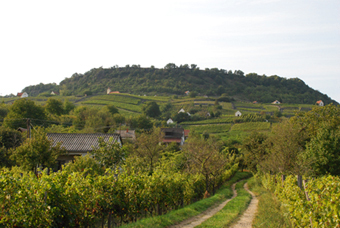 Somló, one of the 22 wine regions in Hungary, is the smallest one with 832 hectares under vines. 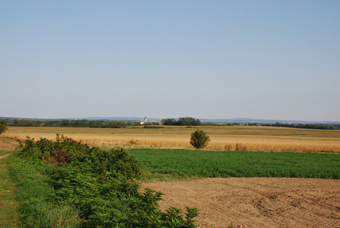 It is located in Western Hungary where the hills of Lake Balaton and the Bakony turn into a flat land. Somló is a solitary hill rising 431 metres above sea level and is the last in the chain of volcanic hills which are evidence of the seismic activity of the past. The climate is continental with an average rainfall of 600-700 mm a year, the majority of which falls between October and June. There are some 2,000 sunny hours on average in a year. The prevailing winds come from the North-West. The topsoil is a mix of loess and sandstone lending a good drainage, whilst the lower clay-marl provides a good water-holiding capacity. The volcanic subsoils of basalt and tufa are rich in minerals and traces and lend a special character to the wines of Somló. 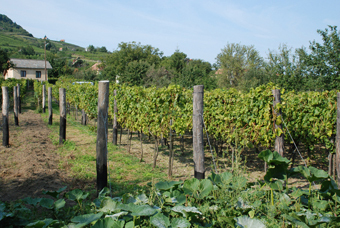 A wide range of varieties is grown in the appellation. Juhfark is almost only grown in Somló and therefore it is regarded as its signature variety, even if it is not the most widely cultivated one. The most common varieties are Olaszrizling (Welschrisling), Hárslevel? and Furmint. Welshriesling is a widely planted variety in the Central and Eastern European wine producing countries, whilst Hárslevel? and Furmint are known to be key to the production of Tokaji wines.